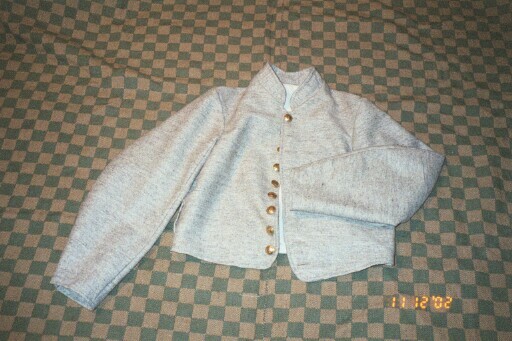 The Richmond Depot produced several types of jackets. 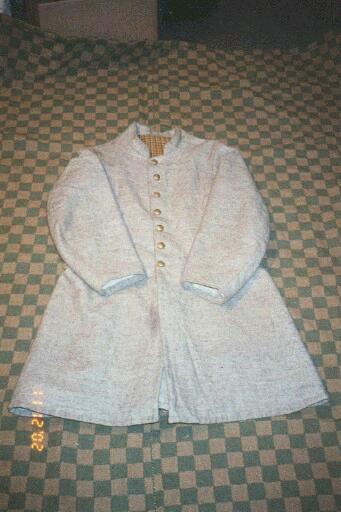 3 of the major styles of jackets were what is known today as the Richmond Depot Jacket type 1,2 and 3. The Type 1 jacket was produced approx from 1861 through around mid 1862, when the first appearances of the Type 2 Richmond jacket started. 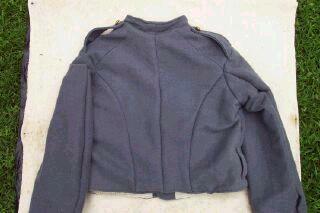 Although there were several types of conversion jackets which had features of both the type 1 and 2 jackets. 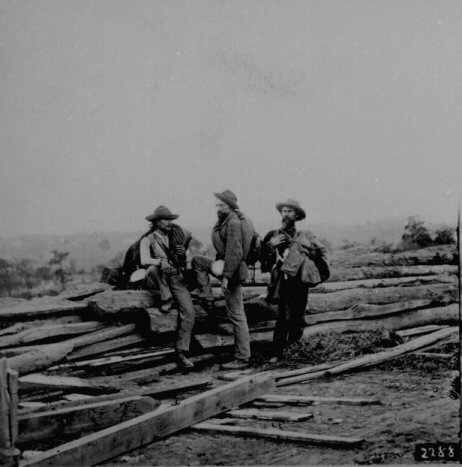 The type 2 was probably the jacket produced for the longest time frame, as you see photo's of these jackets as early as 1862 and even some appear in photos in 1865. 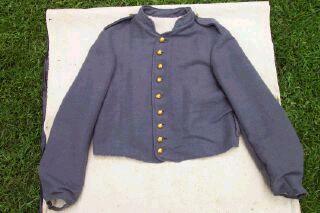 The Type 3 jacket is almost identical to the type 2 jacket except it has no epaulets and the material used was a blue grey kersey, these jackets started to appear around early-mid 1864 - the end of the war. All jackets feature a 9 button front and an inside slash pocket. All topstitching done by hand and finished off with Block I buttons or federal eagle buttons your choice. 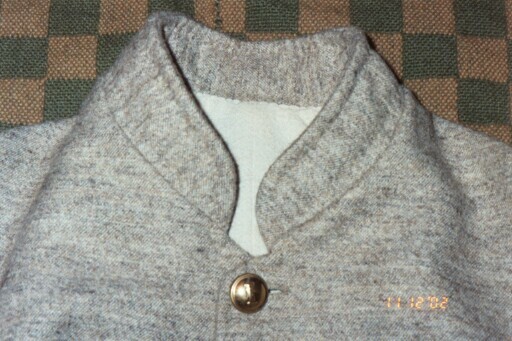 CS single Breasted Frock, Copied from an original ID'd to a member of the 9th Kentucky. 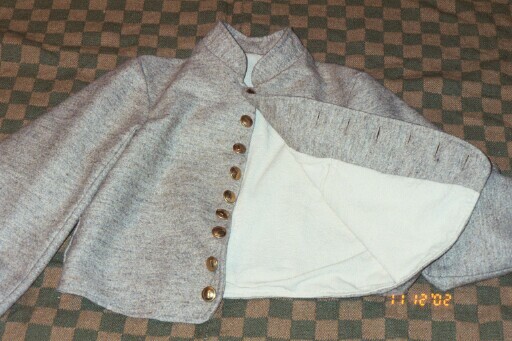 Frock has a 7 button front, and tail pockets set into the the tail pleats. Your choice of fabric and lining and buttons. 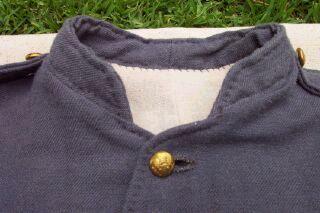 All Visible Stitching is handsewn. Several Options available. Other Frocks are available email with inquiries. Made from Grey or brown jean cloth $185 a pair. 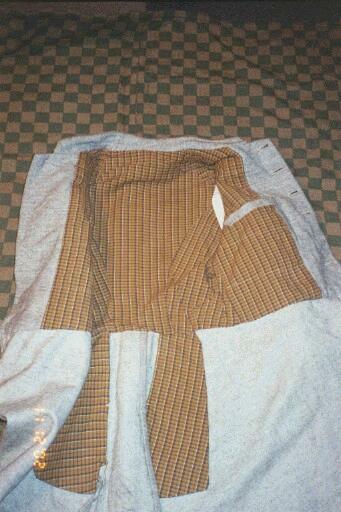 All visible stitching hand sewn.